Since I’ve been in business for a few months, I’ve taken a cold hard look at my sales, costs, and pricing structure and realized that I need to raise prices by about 5% to more adequately cover my costs. This change will occur on September 1st as I wanted to give people time to make any purchases they’ve been thinking about before raising prices, so consider this your warning! Sweet Sheep has just received its first wholesale order! My lotion bars and lib balms will soon be stocked at a charming little gift boutique in Black Diamond, Washington. Karen and Dawn, the owners of La Bella Vita, seem as excited to stock my products as I am to have them travel to parts of the country I’ve yet to visit! Be sure to stop by in a couple of weeks if you’re local. If you know of a shop near you that seems like a great fit for Sweet Sheep, please let me know! If you’re in Connecticut, we’ll be at the Coventry Regional Farmer’s Market today from 11 am – 2 pm. It’s one of the best markets in New England. Stop by, say hi, and sniff our lovelies in person! 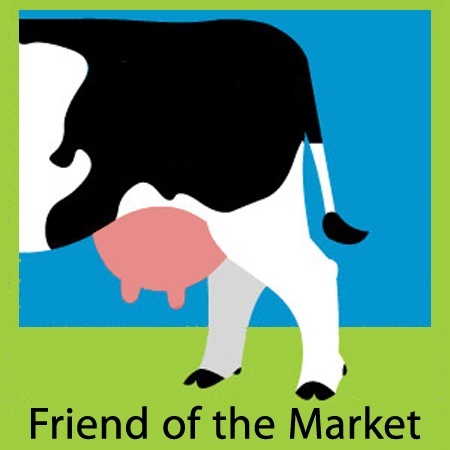 Friends of the Market receive 10% off their entire order. That’s all I have! Exciting times in Sweet Sheep land, no? This entry was posted in SweetSheep and tagged Etsy, farmer's market, sweet sheep, wholesale by shoelaceswitcher. Bookmark the permalink. A five-percent increase isn’t so much – I’m sure most customers will barely notice. Congratulations on the wholesale order, and I hope the farmer’s market went well!